Favour Ekpekpe and Emmanuel Ojeli will enjoy the support of SNEPCo for the 2019 Athletics season. 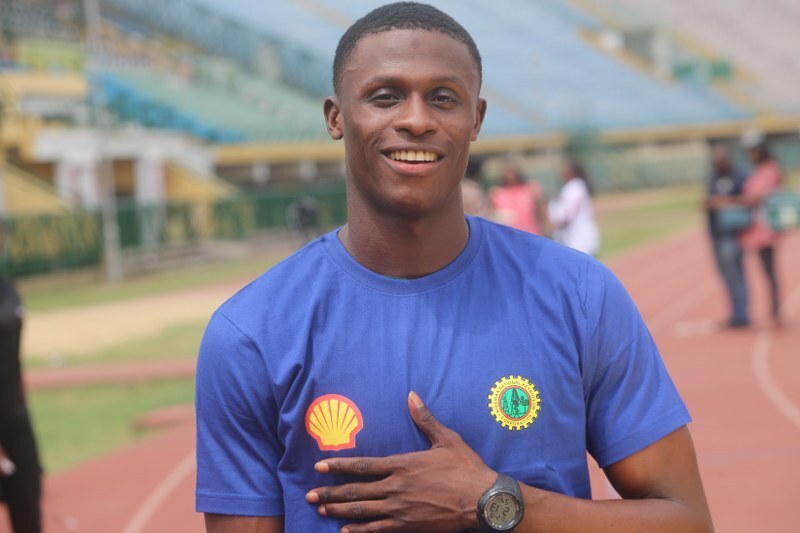 Making of Champions (MoC) athlete, Emmanuel Ojeli is the latest beneficiary of a scholarship from Shell Nigeria Exploration and Production Company (SNEPCo), joining teammate Favour Ekpekpe who was sponsored by the Oil and Gas company in September 2018. 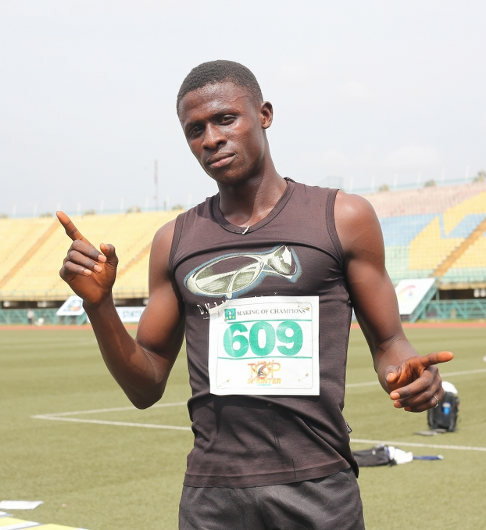 Emmanuel Ojeli is the latest beneficiary of MoC’s Student-Athlete scholarship, as Shell is set to sponsor him for the 2019 season. Both athletes have now received scholarships from SNEPCo ahead of the 2019 Athletics season, which will cover their accommodation, feeding, healthcare, training and competition costs, to allow them seamlessly mix their education and Athletics career. 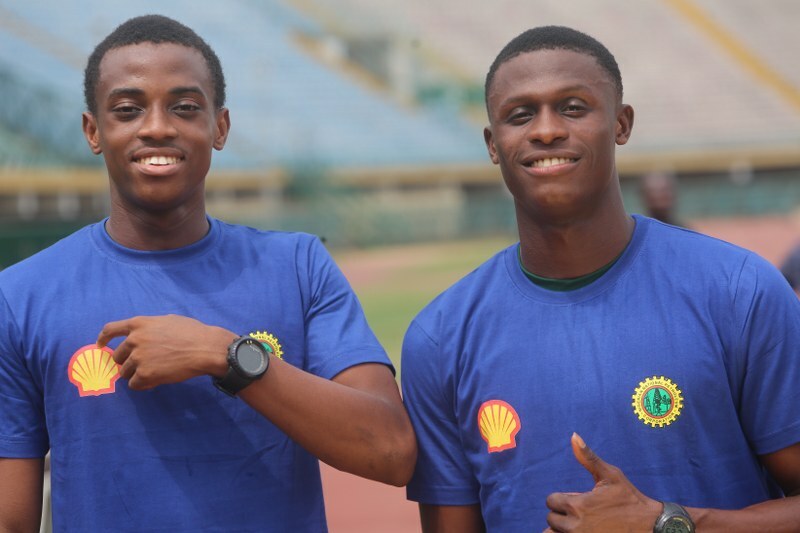 Shell’s Scholarship for Ojeli and Ekpekpe will also afford them the opportunity to prepare for university entrance examinations to enable them combine their tertiary education with training for the 2020 Olympics! (L-R): MoC Head Coach in Lagos/Olympic medalist Deji Aliu; Emmanuel Ojeli; Mercy Umoibang; Blessing Oladoye’; Favour Ekpekpe and MoC Founder/CEO Bambo Akani at their induction ceremony in Lagos in November 2017. 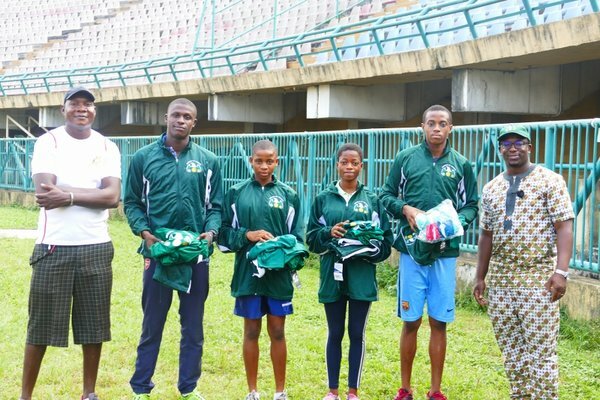 Incidentally, both Ojeli and Ekpekpe were inducted into MoC Track Club in Lagos on the same day, November 14th, 2017, having been relocated from Delta State in preparation for the 2018 Athletics season. 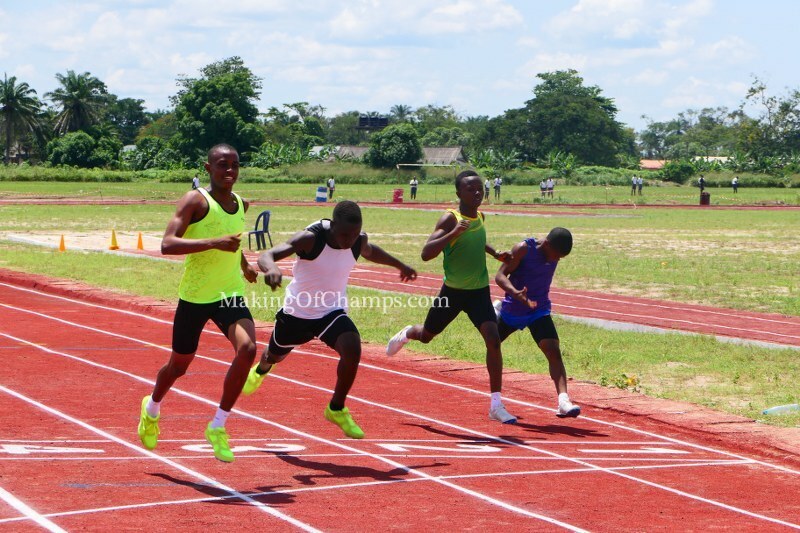 MoC’s first contact with Ojeli was at the 2016 Top Sprinter competition held in Lagos where he won the Youth Boys 400m title with a then Personal Best (PB) of 51.78s. He followed this by winning GOLD in his trademark event at the 2017 NYG in Ilorin with a PB of 48.23s. Emmanuel Ojeli’s first contact with MoC was at the 2016 Top Sprinter competition. Ojeli, who specializes in the 400m, has since come a long way and had an inspiring 2018 season which saw him opening his season at the AFN Golden League in Port Harcourt where he placed 5th in the final with 47.79s. A few months later, he was in action at the MoC Grand Prix in Lagos where he returned a time of 47.49s – a PB, to finish 2nd. In the final, he ran a fast home straight to win the men’s 400m Final A with a PB of 47.47s, beating more established athletes in the process. He followed that up with a victory in his heat (48.24s) and a 3rd place finish in the men’s 400m final at the AFN Golden League in Ozoro. Ojeli became a familiar face within the domestic Athletics scene in Nigeria. 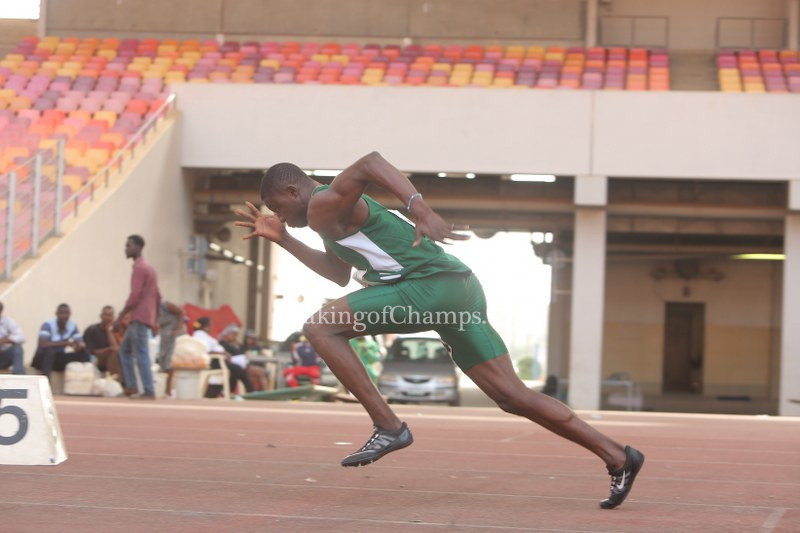 Ojeli ended his 2018 season on a high by racing to a Bronze medal for Lagos State at the National Sports Festival (NSF) in Abuja last December, breaking 47s for the first time in his career as he set a Personal Best (PB) of 46.98s. 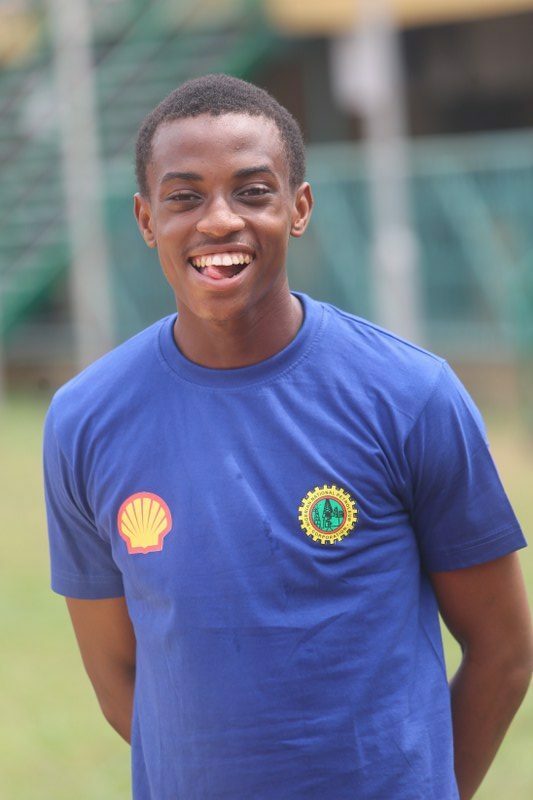 Impressed by his outstanding performance within the space of a year, Shell has stepped in to support Ojeli’s ambition of becoming one of Nigeria’s best quartermilers. Emmanuel Ojeli won a Bronze medal in the men’s 400m at the 2018 National Sports Festival in Abuja. 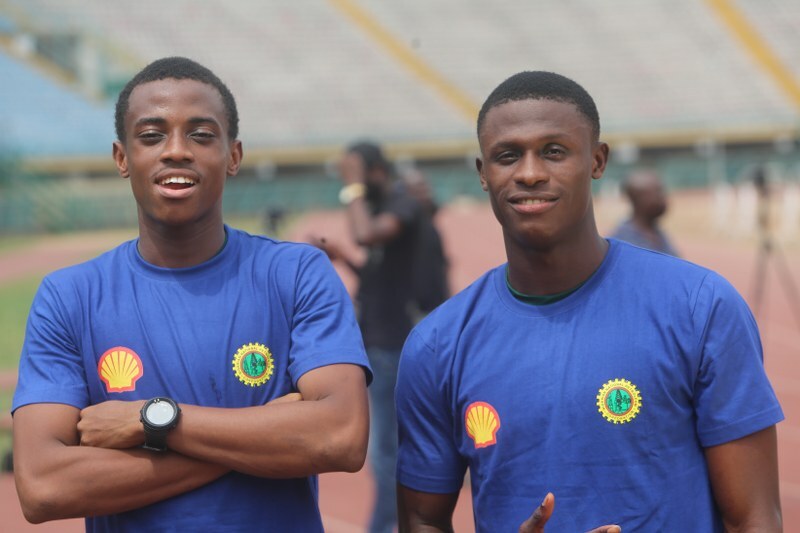 Shell’s sponsorship of Ekpekpe lays credence to the teenager’s meteoric rise within just a year of joining the MoC Track Club after completing his Secondary school education at the renowned Government College Ughelli (GCU). Incidentally, the GCU was where MoC discovered Ekpekpe, competing then for his school at the Youth Scholar Athlete Development Programme (YSADP), sponsored by Shell Petroleum Development Company (SPDC). His performances then caught the eye, and he was drafted in to join MoC. Ekpekpe races to victory in his 200m heat at the YSADP held at GCU in 2017. 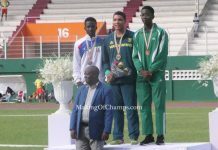 Although he was not selected to be part of Team Delta State at the 2017 National Youth Games (NYG) in Ilorin, Ekpekpe had to represent Kebbi State whom he had no ties with, and got to the semifinals of the Boys’ 200m for his adopted state. 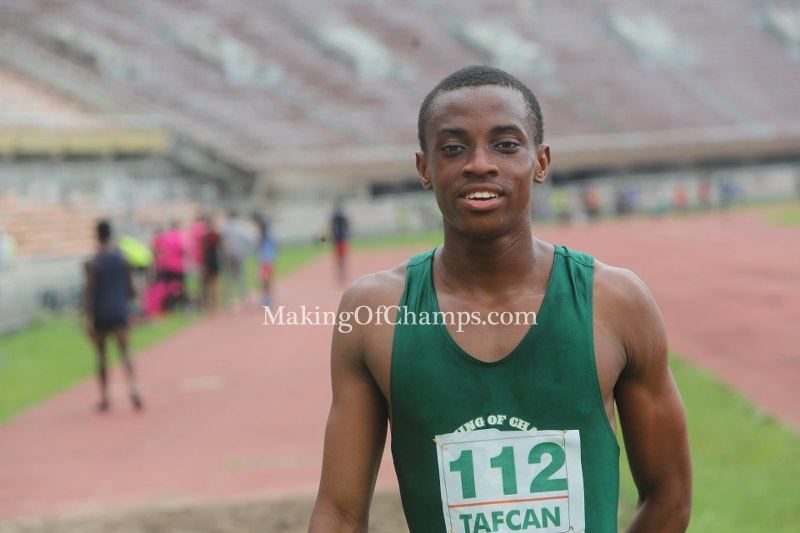 Just about a year since coming to Lagos, Ekpekpe has been steadily improving and started gaining National recognition because of his performances at some of the Golden League meets he competed in, and also the National Junior Trials. Favour Ekpekpe has improved tremendously since joining MoC in 2017. To understand better the progress Ekpekpe has made within nine months of joining MoC, he now has a Personal Best (PB) of 10.75s in the 100m, having come from struggling to go under 11s to now being a sub 11s runner. In fact, at the 2017 NYG in Ilorin, he clocked a then PB of 11.67s; that’s a tremendous leap in less than a year. The 200m is where the 17-year old has made tremendous progress, shaving off more than a second from his then PB of 23.22s which he ran in 2017 in Ilorin, to clock a new one of 21.97s, which he ran at the 2018 National Junior Trials in Ozoro. 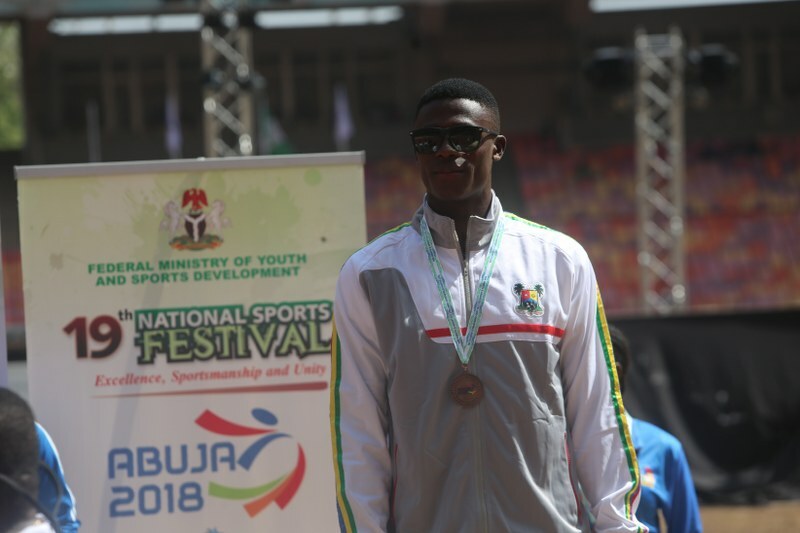 Competing in his first National U18 Championships, Ekpekpe put up a good performance to win his first ever National medal, winning the Bronze in the 200m. The performance earned him a call-up to the National camp for the African Youth Games in Algeria. Although he was not selected in the final team Nigeria took to Algiers, having come very close to that is definitely a huge step-up. Ekpekpe bettered his 200m mark to 21.90s at the MoC Grand Prix,and has now set his sights on the 2019 CAA U18 and U20 Championships in Cote d’Ivoire come April.